He played college football at Baylor University and was drafted in the first round of the 1950 NFL Draft. 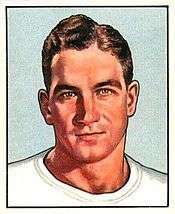 Burk is one of eight NFL quarterbacks (Sid Luckman, George Blanda, Joe Kapp, Y. A. Tittle, Peyton Manning, Nick Foles, and Drew Brees) who share the record of seven touchdown passes in one regular season game. He threw seven touchdown passes on October 17, 1954 when the Eagles won 49-21 over the Washington Redskins. Three of his touchdowns passes were to Eagles wide receiver Pete Pihos.